This was one of our first Couples that we photographed many years ago. This shot is a fun way to take pictures of the bride and groom with the City Hall sign. Rather than have them pose under the sign. Photos like this can often be better when they are not posed and look natural. 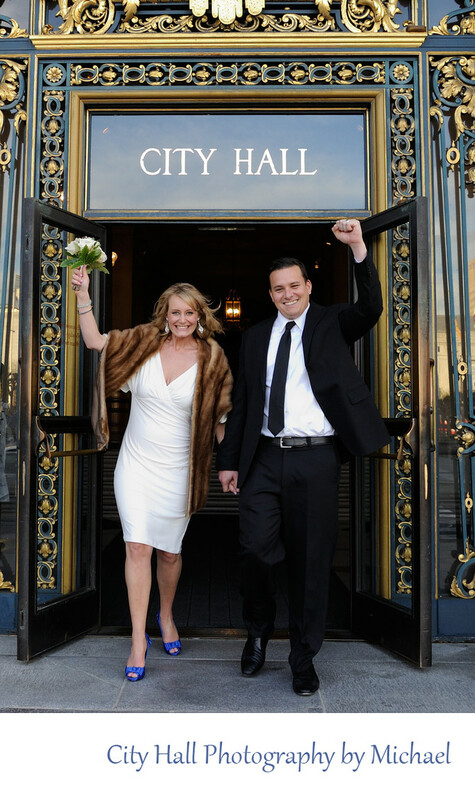 We set the couple up inside the city hall business and asked them to walk out of the building and do something fun! The results are great!